You may have heard that Switzerland is all about mountains, mountains, and mountains. 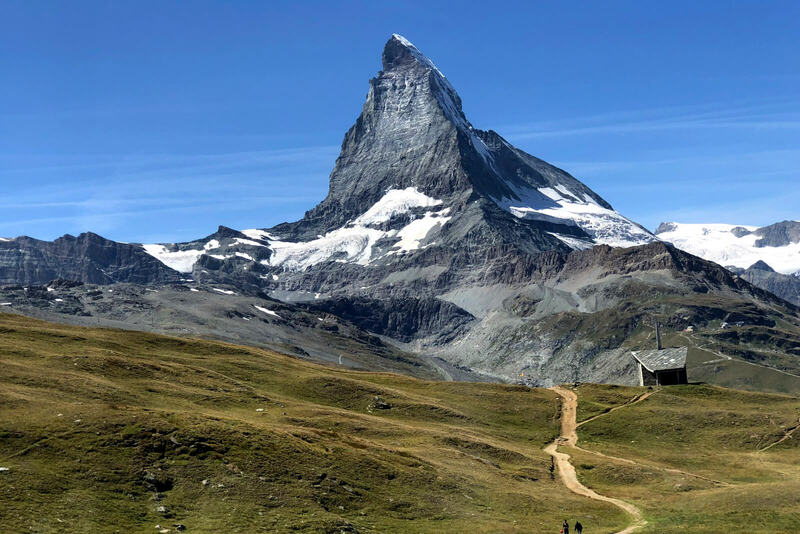 So, if we can get to the summit of mountains in the Bernese Oberland - Eiger, Mönch, and Jungfrau - there is surely a way to visit the Matterhorn by train! Of course, Swiss trains will never let you far from any of the nation's classic mountains, but the Matterhorn is easier seen than climbed. Ascending to the very top of the mountain is not for the faint of heart, and quite a few have lost their lives in doing so. 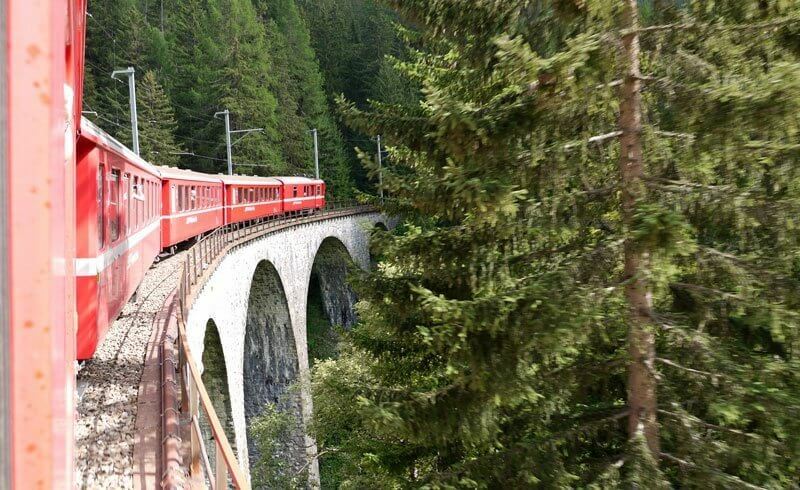 However, it is still easy and very safe to enjoy one of Switzerland's most recognizable mountains by rail. I am almost ashamed to say that, as a naturalized Swiss citizen, this was my very first visit to the mountain known as Le Cervin in French, and Il Cervino in Italian! My wife, Tracy, joined me for this journey which coincided with very pleasant skies. And here's one for the train people among you: You know your train is a true sprinter if it escapes Olten without stopping! The Olten station, of course, is the Clapham Junction of German-speaking Switzerland - if not of the whole country! The view begins to get truly awesome after we leave the next stop, Thun. There is the magnificent Lake Thun, and soon after Spiez, we are heading south into the Lötschberg Base Tunnel. Thanks to this straight connection to Switzerland's south, we soon arrive at our first interchange: Visp. 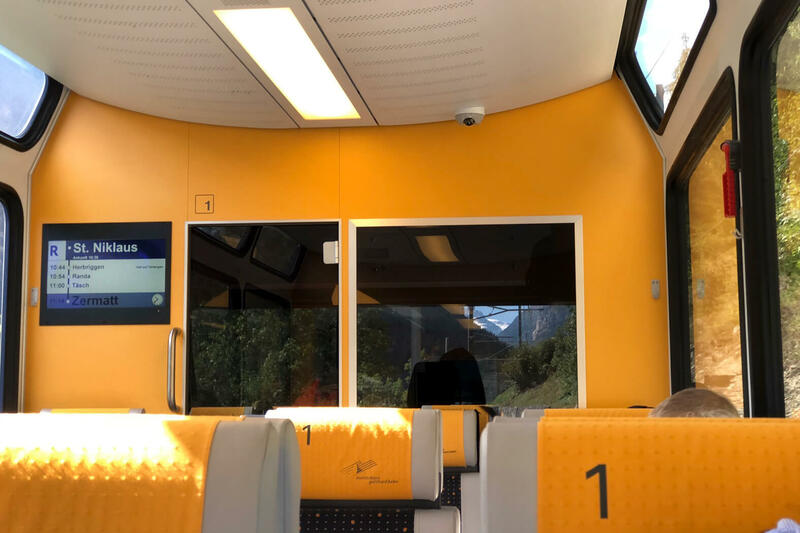 On this sunny late summer day, connecting onto our second train to Zermatt feels a little like going back to a railway station in China. The masses are flooding the station underpasses, proving that we must be headed to a highly popular mountain! Just over an hour later, we hit the terminus of this leg: Zermatt. The station is popular with locals and guests from abroad, as you can tell from the international signage. Who knows, maybe a few years down the road, visitors from China will see the station add Chinese translations? A quick lunch later, it is time to cross the street to the final leg: Zermatt to Gornergrat. The journey reminded me of my geography courses in Switzerland, for we soon pass the tree line. Our coach is full of other photobugs who are shuttering away at the many lakes along the tracks, including one at the Rotenboden station. Half an hour in, we reach the terminus of Gornergrat at 3089 meters above sea. And then, the moment we have been waiting for: the iconic Matterhorn. And finally, a quick refresher for hikers: watch your trails! On white-red-white trails, where you see the trail markings (marked on stones), make a point of following them. Also, if you know in advance that you will be using them, make sure your shoes are ready for the challenge. Those intended for city streets might not be the best idea. A little Grüezi to other hikers, especially in German-speaking Switzerland, can hardly ever go wrong. These greetings can make you feel a lot more “Swiss"! I know, we are all used to getting hooked on our mobile phones. Resist the urge because safety comes first on these tricky trails. Don't miss that last train! 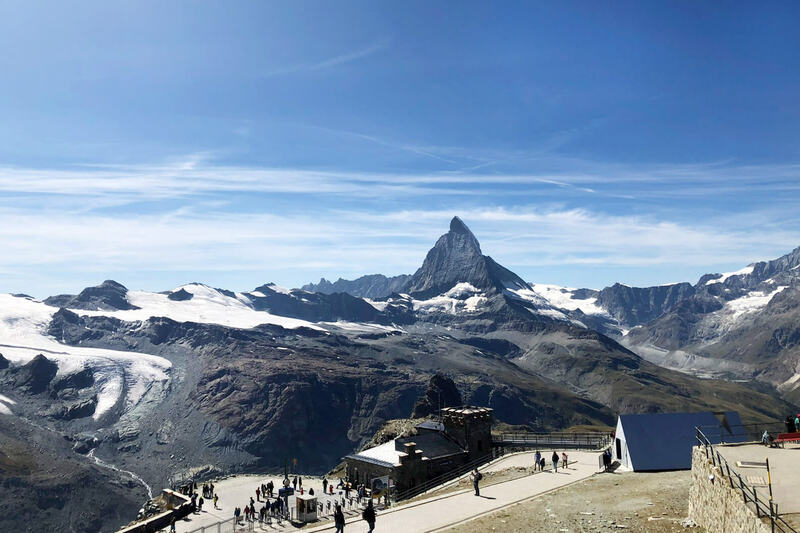 So, there you have it: a beautiful day trip from Zürich to Zermatt with all the toppings! David might appear to be a Beijinger, but his mind works in Züridüütsch and 5+ other languages. He is bursting with Swissness and cannot imagine a life without trains.